Called to the Bar in 2012. Prior to practice as an Advocate: Exposure to Business and Project Management at senior level. Obtained LLB in 2007 and practised as an Attorney in Senior Associate position until 2011. 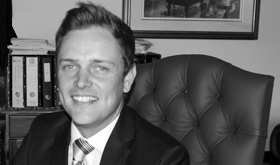 Gained vast experience in civil, commercial and criminal litigation as well as practice management. Experience consisting of and not limited to drafting complex legal documents and contracts, opinions, civil and criminal trials, arbitrations and opposed motions.